Our most feminine and floral body freshener. 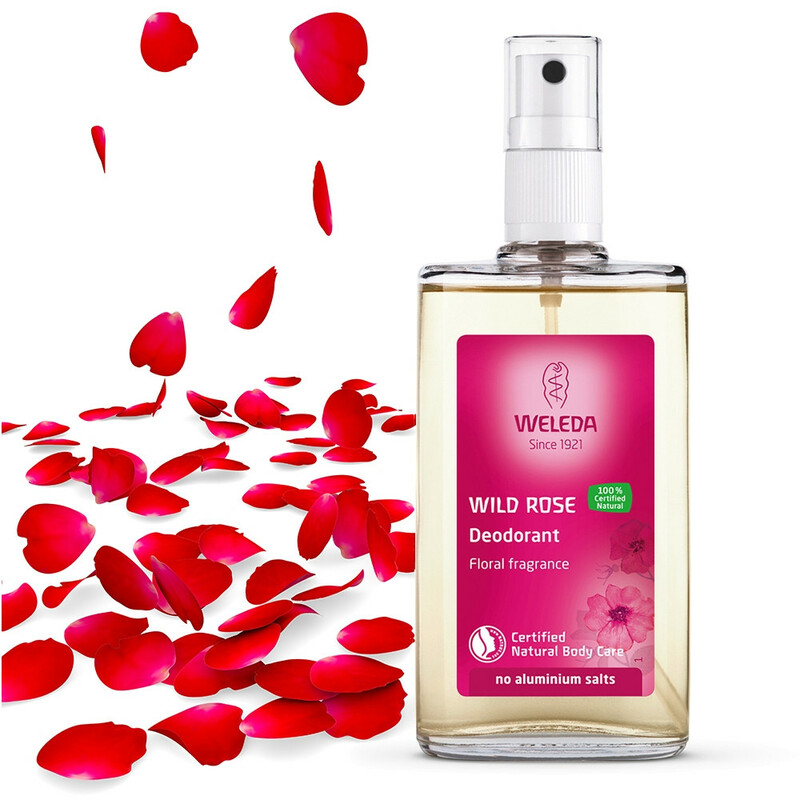 There’s nothing dainty about a hot and bothered body, but Weleda has an answer that will leave you smelling of roses! Natural ingredients work with your body to neutralise odour without hammering your skin. Pure essential oils of damask rose and ylang-ylang create a delicate, floral scent and the bacteria which cause odour are inhibited from building up. This non- aerosol, pump- spray, recyclable glass bottles come in handbag and full sizes, and our deodorant is made without aluminium salts. Ingredients: Alcohol, Water (Aqua), Triethyl Citrate**, Sodium Caproyl / Lauroyl Lactylate**, Rosa Damascena Extract, Rosa Moschata Leaf Extract, Ammonium Glycyrrhizate, Glycerin, Fragrance (Parfum)*, Limonene*, Linalool*, Citronellol*, Benzyl Alcohol*, Benzyl Benzoate*, Benzyl Salicylate*, Geraniol*, Citral*, Eugenol*, Farnesol*.